We're here to help Michigan teachers. Michigan educators can use Learners Edge courses to meet this criteria. 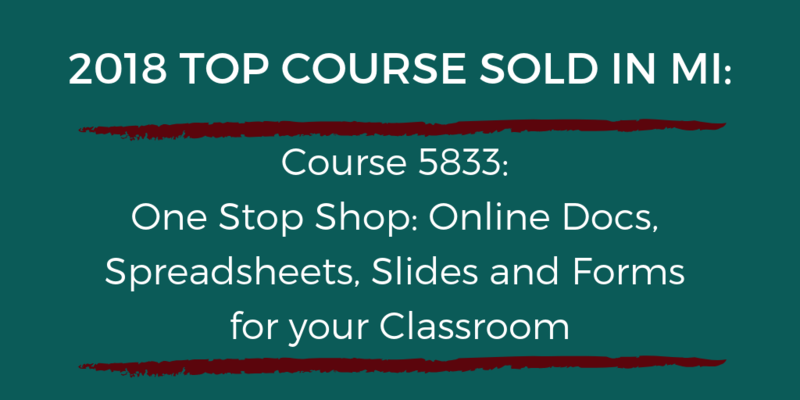 Six (6) semester credit hours appropriate to the grade level and content endorsement(s) of the certificate earned from a college or university that is regionally accredited. For more information, here is a great link from the Michigan Department of Education on Standard Teaching Certificate Renewal. Three years of teaching with Standard Teaching Certificate is needed prior to progressing to the Professional Certificate. Reading Diagnostics: 3 semester credit hours of reading diagnostics and remediation, including field experience AND 6 semester credit hours (150 education-related professional learning) in a planned course of study (Learners Edge offers non-degree certificates) OR utilize a education-related option (below). 6 semester credit hours appropriate to your grade level/content endorsement from a regionally accredited university or college. For more information, here is a great link from the Michigan Department of Education on Progressing to the Professional Education Certificate. 6 semester credit hours in a planned course of study (Learners Edge offers non-degree certificates) OR 6 semester credit hours appropriate to your grade level/content endorsement from a regionally accredited university or college. A helpful link from the Michigan Department of Education on Professional Education Certificate Renewal. Additional information can be found on the Michigan Department of Education website. We always recommend that you follow any pre-approval requirements in your district before you register for courses. 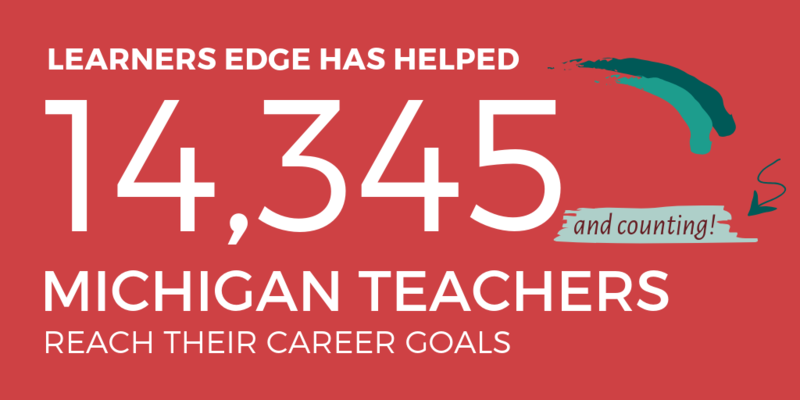 However, teachers have been using our courses for years for their Michigan teaching license renewal and to advance on their district’s salary scale—and have typically been able to use any of our university/college partners. Depending on your needs, Learners Edge offers both non-degree certificates and continuing education courses to help meet your progression and renewal requirements. 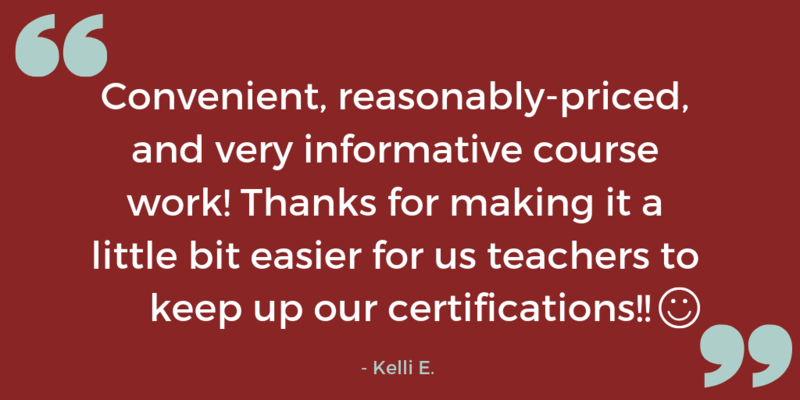 Above is a summary of how Learners Edge may help your continuing education and Michigan license renewal needs. This summary should in no way release individuals from their responsibility of ensuring that the course(s) they take meets their professional needs. We hope it provides assistance in understanding how Learners Edge might help you in the accumulation of clock hours or graduate credit for salary advancement and the Michigan license renewal process.